POSTWORKS IMAGING! Lloyds Pharmacy, Edo Kars. This project was created for Lloyds Pharmacy. 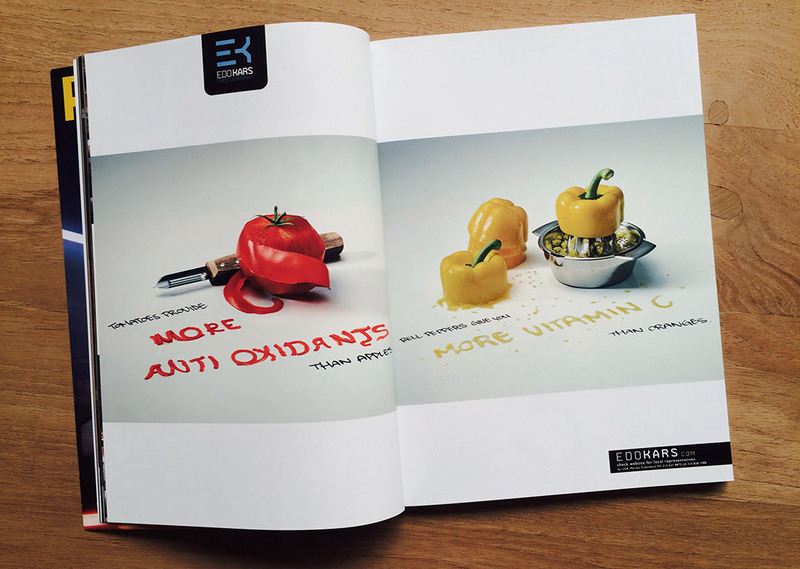 The client asked to create these scenes where certain vegetables looked like pieces of fruit. We decided that the texts could be created from that vegetable as well. The texts were handwritten while the vegetable texts were all created in CG. 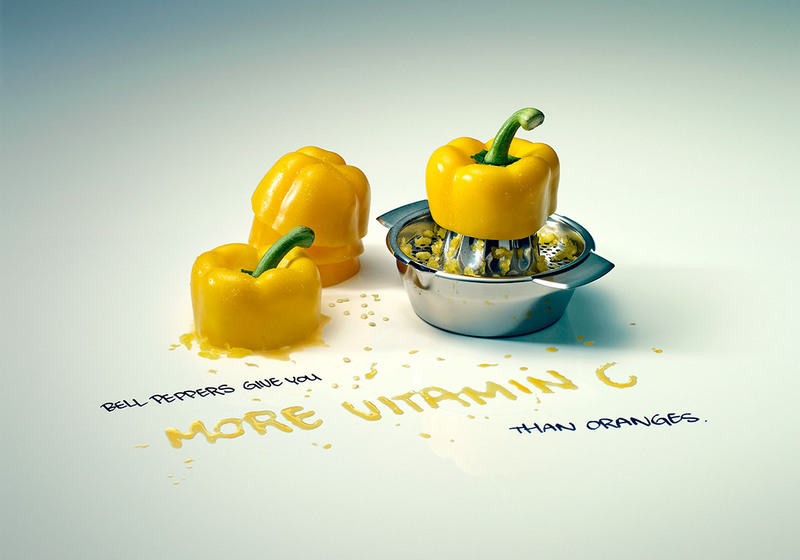 The peeler was also created in CG. 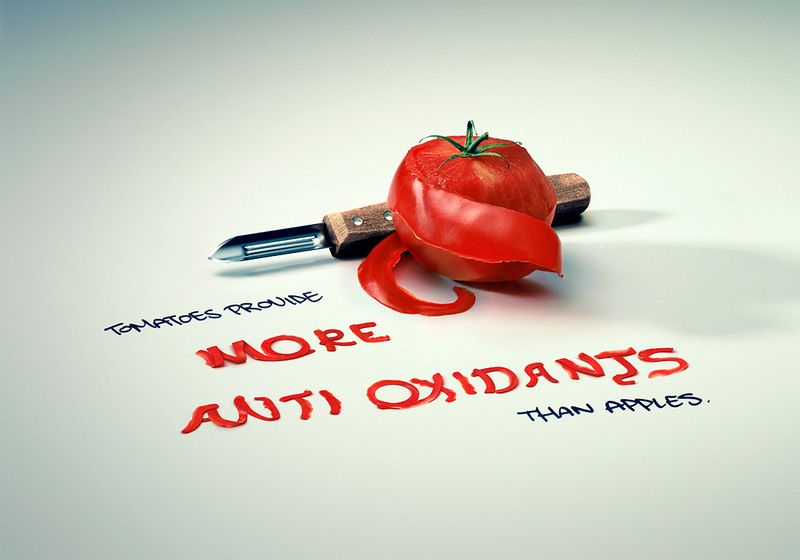 lloyds Pharmacy, Tomatoes provide more anti oxidants than apples. 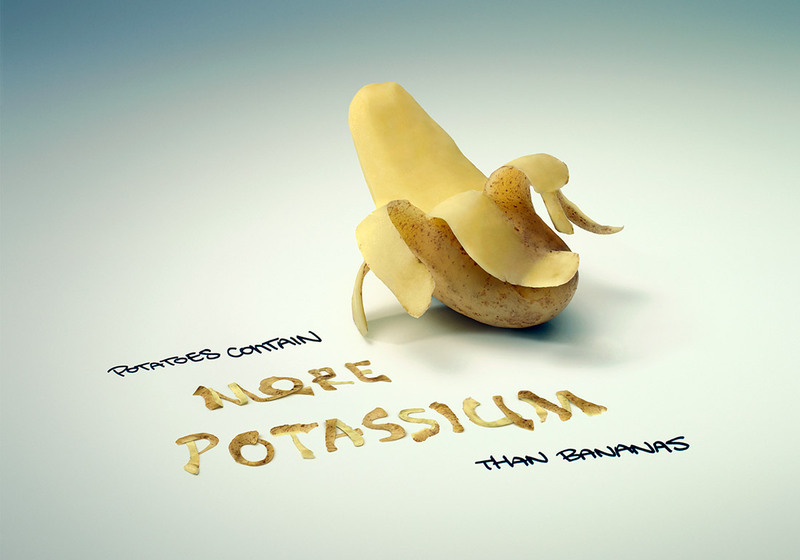 lloyds Pharmacy, Potatoes contain more potassium than Bananas. 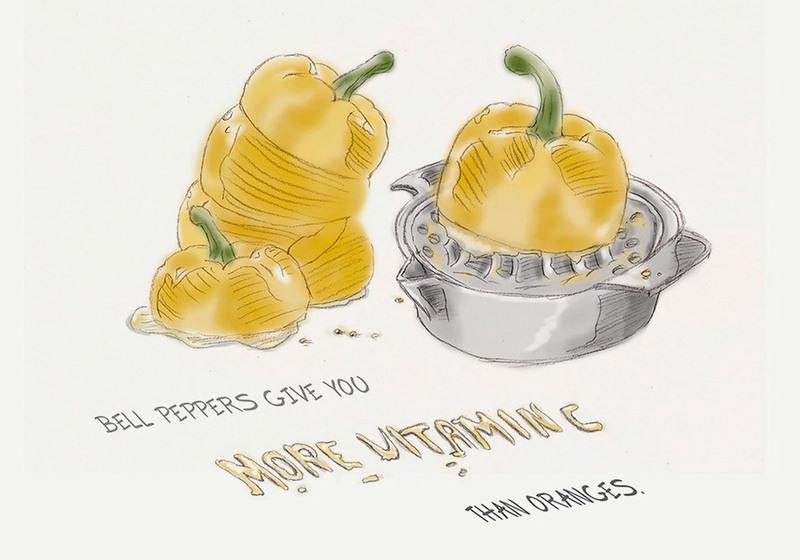 lloyds Pharmacy, Bell Peppers give you more vitamine C than Apples.